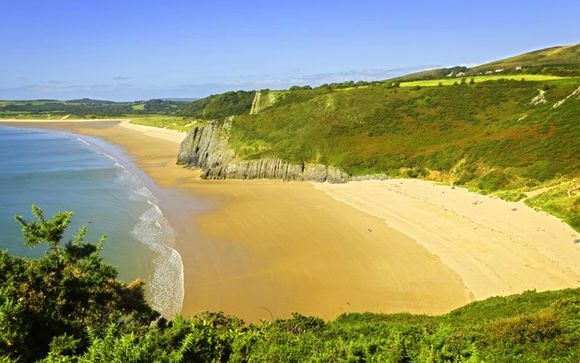 Despite being designated as Britain’s first ‘Area of Outstanding Natural Beauty’ the Gower peninsula has largely remained one of Wales’ best kept secrets. A destination just waiting to be discovered, its beaches are among the best in the UK, where a hidden bay and rocky cove give way to long empty stretches of sand. But there’s more. Magical coastal walks, top class restaurants and cosy country pubs vie with castles, Arthurian legend and stunning beaches as the main attraction. And if that’s not enough then Swansea Bay and the thriving seaside village of Mumbles is but a short drive away. Whether drawn to the area by its undisputed natural beauty or by its reputation as one of Britain's premier surfing destination, at Blas Gŵyr you’re only minutes away from the action. 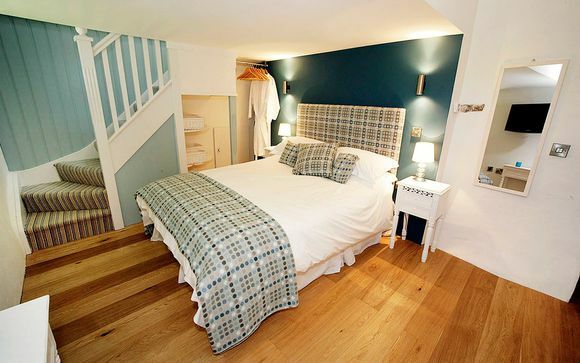 Blas Gŵyr is a luxury boutique bed and breakfast located in the heart of the Gower seaside village of Llangennith. Surrounded by glorious Gower beaches and spectacular countryside this unique property stylishly combines the old and the new and is an ideal hideaway from the stresses and strain of the modern world. 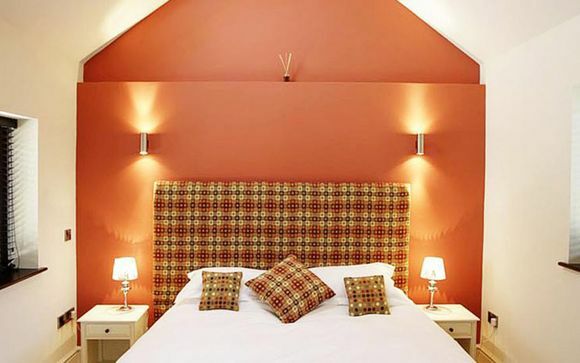 Part grade II listed building and part contemporary development, original features have been complemented with 21st century design to provide guests with 5* comfort. You may choose from a King Double or a Superior King Double. Blas Gŵyr offers four individually designed rooms which all lead out onto a tranquil courtyard garden. Enjoy individually prepared breakfasts of your choice. Wherever possible the produce is sourced locally. For those wishing a real flavour of Gower why not try the ‘laverbread’ a local delicacy made from seaweed. Delicious with bacon and eggs. Also ask to try Dafydd's Glamorgan Sausage - a traditional Welsh meat free sausage made from leeks and Caerphilly cheese. On selected Friday’s and Saturday’s guests are offered a set four course meal (subject to demand), where you can meet and get to know other guests around a communal table in relaxed and comfortable surroundings. Menus will include Dafydd's special Tuscan specialities which he alternates with a modern Welsh menu which includes locally reared Welsh Salt Marsh Lamb from nearby farms, fantastic local shellfish and fresh locally caught fish such as Sea Bass and Mackerel. The village of Llangennith is at the end of the Gower Peninsula. To reach Llangennith exit the M4 at junction 47. Take 2nd exit left and 2nd exit again at next roundabout. At next roundabout again take 2nd exit left. Travel along the dual carriageway down the hill and at next roundabout take 1st left, keeping Harvester restaurant on right travel underneath the railway bridge. At traffic lights turn right onto Penclawdd Road.